Suzi Grant personifies the art of growing old with purpose and a huge sense of fun. At 68 she is an Instagram star, a successful blogger and poster girl for healthy aging. A formerly hard-drinking, chain-smoking radio and TV journalist, Suzi traded her unhealthy habits for an alternative way of living, following the sudden death of her mother, at the age of 63. It was a wake-up call that saw Suzi reinvent herself, through education and lifestyle changes. She embarked on a successful, second career as a nutritionist and became a role model for older women. 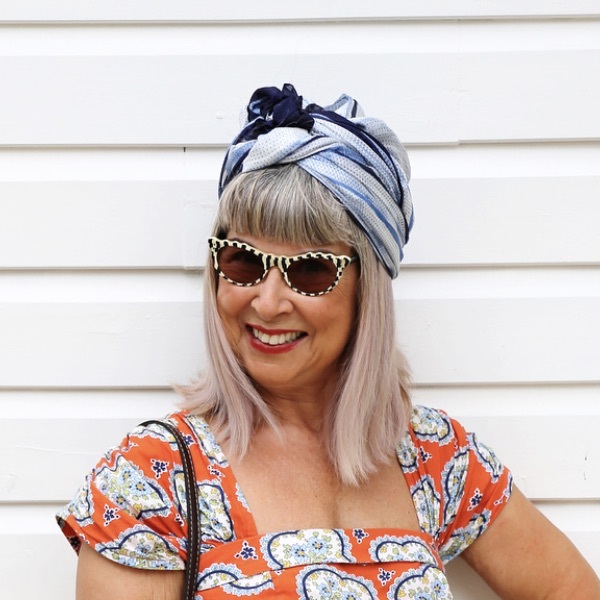 Suzi, based in Brighton in the UK, blogs at Alternative Ageing and is the author of several books, including Alternative Aging: The Natural Way to Hold Back the Years. In this LLAMA podcast interview with Peter Bowes, she explains the inspiration behind her new career; her passion for taking part in Instagram Lives and creating YouTube videos; how she believes her memory has improved through regular blogging, and the lifestyle secrets behind living each day with vigor and vitality. Suzi and Peter also share stories about their shared love of broadcasting, fasting, exercise and purposeful aging.